The Shohola Scholarship Foundation has a dual mission. We seek to aid boys in making camp a reality each year while building a larger fund whose interest will support future children. Each year, Shohola receives dozens of applications from parents who want to give a summer of growth and learning to their children, but cannot afford to do so. With your help, we will make the stuff of dreams a reality. The Shohola Scholarship Foundation is a not-for-profit, 501(c)(3), corporation. The money raised through your charity goes directly to support tuition for boys at Camp Shohola. The foundation pays a deeply discounted tuition for each child, thus assuring that all funds donated benefit the child in need. 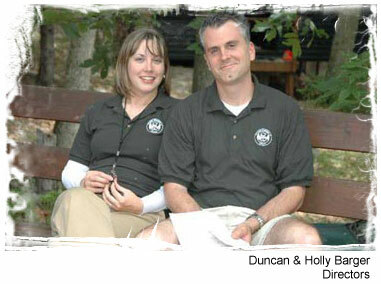 The foundation's director is Frank "Kit" Barger, now retired director of Camp Shohola. Now that Kit has turned the keys to camp over to his son Duncan, his primary focus, is to share the joy and the dream of Camp Shohola with those that may not otherwise be able to attend. Camp Shohola is a third generation traditional boys summer camp, located in the mountains of northeastern Pennsylvania, and accredited by the American Camp Association. Learn more about the camp. © 2011 Shohola Scholarship // All Rights Reserved.